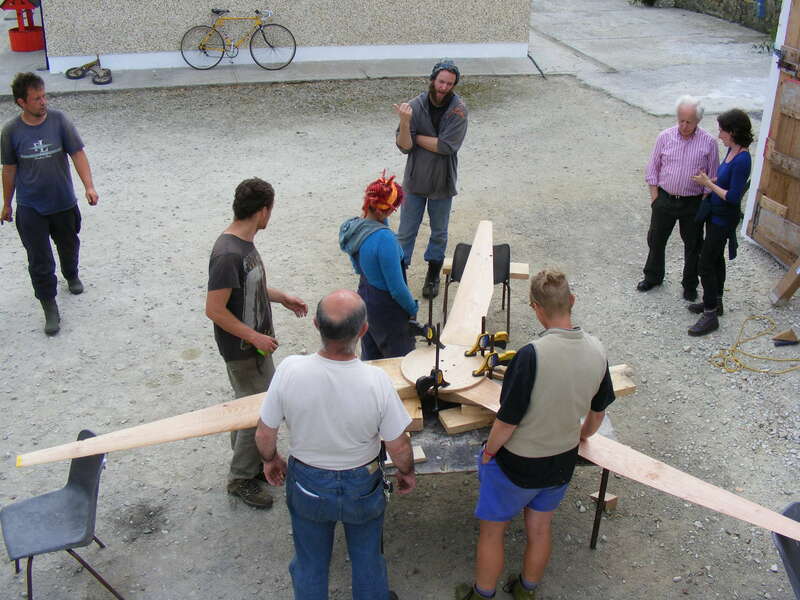 From the 10th to 16th of August, Rossport Solidarity Camp hosted it's 3rd wind turbine building course. You can read a report of the first one here: http://www.indymedia.ie/article/95731. As the 3 previous turbines that were built are still going strong (and powering both the camp and camp house), this year it was decided to go for something bigger and more challenging. This year it's was decided to build a 4.2 metre turbine that is planned eventually to be connected to the grid at the house of a local Shell to Sea campaigner.